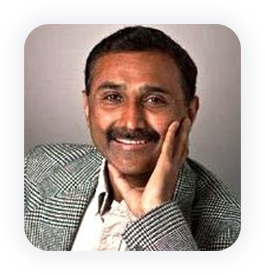 Vaidhi Nathan is an experienced business and technology leader who has successfully created and managed leading edge technology companies in Silicon Valley, California. He was recently selected as one of the top 12 industry leaders and influencers in the security and surveillance market. Vaidhi has over 30 years of industry experience and has a broad technology, video, camera, analytics and software background. He has proven success in customer and market growth, team building, product creation and delivery, and growing overall business. Prior to starting IntelliVision, Vaidhi was President and CEO of Sirius Systems. He held senior engineering and product management positions at Ingersoll, ATP, and Cimplex, before starting Sirius and was also an adjunct professor teaching Master’s level classes at Santa Clara University. Krishna Khadloya has served as VP of Engineering, Products, Delivery, and Support since November 2015. 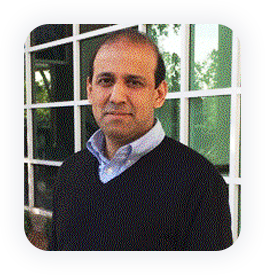 Krishna is a seasoned technology and people leader with experience in building and supporting innovative products in cloud, mobile, IoT, and performance testing/monitoring areas, leveraging geographically distributed and talented teams. Krishna served as VP Engineering at MobileIron, an Enterprise Mobility Management company and was VP of Engineering at Keynote Systems, a public, cloud-based web and mobile application performance management company. Prior to that, he held various senior management roles at Keynote Systems and Mentor Graphics. Krishna holds a Master’s of Science degree in Computer Science from State University of New York, Albany and a Bachelor’s of Science degree in Electrical and Electronics Engineering from Birla Institute of Technology and Science at Pilani, India. He has also attended the Executive Program at Stanford University’s Graduate School of Business. Sheri Becker is the Controller for IntelliVision Technologies, and has been with IntelliVision for over 6 years. Prior to IntelliVision, Sheri was the Controller at West Coast Linen, a commercial laundry located in Gilroy, CA with over 500 employees. 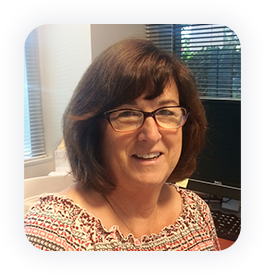 Sheri has over 25 years of finance and administrative experience in the manufacturing and service sectors.